The consequences of the above statement are both profound and long term for companies aspiring to meet the needs of new global customers. New and often more complex business opportunities will continue to present themselves. What will it take for your company to seize them faster than anyone else does? Skill development of managers at the individual level is necessary, but by itself insufficient. So are standardised open-enrolment programmes. Rather, groups of managers from the same organisation need to develop their competencies to improve business performance to aim higher. They need to gain insight into new strategic possibilities, be it through organisational, leadership and talent development, and shape new capabilities to implement these with skill and with strength in daily operations. 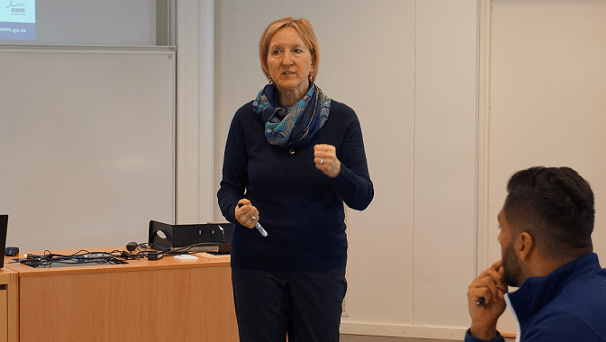 The School of Executive Education at the School of Business, Economics and Law, University of Gothenburg is proud of its track record in custom designing such management development programmes. We work predominantly with large companies in the Nordic region, aspiring to improve their capabilities to develop and execute new strategic initiatives. Interacting closely with you as our customer in managing the design, delivery and evaluation of custom programmes, we ensure that the performance impact of learning modules translates into tangible and permanent capability improvements for your organisation as a whole. By combining academic rigour with practical relevance, we help you mobilise a global network of academic thought leaders to deliver to your schedule, at your preferred locations. We now invite you to learn more about our custom programmes, of what some of our customers have to say about them and how we can begin shaping your new organisational capabilities.